If you have a poor credit history you’ll probably be wondering how to increase your credit score. There are some tips you can use to help improve your credit score. First, you need to know what is causing your score to be low. Many things can affect your credit rating. Each month credit card companies, banks, loan companies, and utility companies all provide information to the credit bureaus. There are three main bureaus that keep track of your credit score. Your credit score may differ slightly between the three based on the tracking information that they were provided. When you want to increase your credit score you’ll first need to obtain copies of your credit reports. Reviewing your credit report can be tricky. If you have a complex report you may want to get some help reviewing it. A credit repair company can assist you in obtaining and reading your report. They will also be able to give you suggestions on how to increase your credit score. You will need to make all your payments on time. Making a late payment or missing a payment on a credit card, loan, or utility payment can have a negative impact on your score. It is important to continue paying your bills when they are due. If you are having trouble paying them on time you may want to consider getting a consolidation loan. A consolidation loan is used to pay off your credit cards. You are then left with just one monthly payment that is much more affordable. Another important thing that you must do is make sure that you don’t have any errors on your credit reports. Mistakes often occur and they can cause your credit score to go down. If you find an error you will need to file a dispute. The company will need to respond to the dispute and prove that the report is correct. In the meantime, they can’t keep reporting late payments. If the error is resolved, the company will remove the information from your report, helping to increase your credit score. It can be helpful to get some professional help in dealing with your credit score. The experts know the best ways to assist you and can review your information. Once they look at your report they will make suggestions on what you can do to help improve your credit score as quickly as possible. One of the most common problems with a credit score can be mistakes on the report. If there are errors on your credit report it can cause your credit score to lower quite quickly. There are some things you can do to fix a credit dispute on your report. The first step in correcting your credit report is to obtain a copy of it. There are three main credit bureaus. It is important to get a copy of your report from each of these companies because they can be different. Once you have a copy you’ll need to review it for accuracy. The report shows the payment history of your credit cards, loans, mortgage, utilities, and any other credit history. Most of the information will remain on your report for up to 10 years. When you’re trying to obtain new credit, the most important part of your credit history is the most recent. Many people don’t review their credit reports and therefore don’t find errors in time to fix them. If you want to fix a credit dispute you need to review your credit report on a regular basis. A good way to do this is to subscribe to a service that provides you with regular reports. They will also alert you every time there is a change to your credit score. You’ll also want to keep good records of your credit card bills and payments in order to make any claims. When you want to fix a credit dispute you must file a claim. The credit company then has a certain length of time to respond to the dispute. While you can file a claim on your own, it is often better to get the help of a professional credit resolution company. The company offers experts who will review your credit and assist you in determining how to proceed. They have the expertise in working with these types of problems and can often help you fix a credit dispute very easily. It is essential that you review all three of your reports on a regular basis. A subscription to a credit report company will provide you with timely reports that you can easily review on a regular basis. Keeping on top of your credit reports will help you make sure that you find any problems so you can take care of them quickly before they cause harm to your credit score. We all make mistakes and many people find themselves in a situation where they have bad credit and feel it is nowhere for them to turn. They may have made some purchases that they could not afford, or they missed some payments and were late a few times. These errors can show up on your credit report for seven years, causing you serious headaches and taking valuable points off of your credit score. If you want to be able to get good interest rates, you need to have a respectable credit score. Here are some ways that you can fix your credit report and get the stellar credit rating that you deserve. Your first step to restoring your credit is getting a clear listing of your credit history. This can be found in your free credit reports from the three credit reporting agencies that all give you a personal credit rating. These listings are a solid, seven-year history of most of your various credit accounts including car loans, mortgages, student loans, some cell phones, and credit cards. Look through this carefully and then you can begin to fix your credit report. Check through the reports to see if there are any errors or items that have nothing to do with you. If there are, type up letters of dispute and send to the creditors who have marked something falsely on your report. Once you have made contact with the creditor, they will need to respond to you within a month with clear proof of your debt owed to them. If they cannot, you will be able to have this item removed from your report and will free yourself from this negative association. Another way to fix your credit report is by paying off old debts and avoiding any new late fees or over limit fees. Credit card companies and other lenders love to slap consumers with these massive fees because they can make a fortune doing this. If you always pay your bills on time and keep your credit card debts below the limits, you can avoid ever having to just throw your money away to the credit card companies again. You also want to pay off your debts as quickly as possible and should always pay more than the minimum payment to do so. You can improve your credit score and fix your reports so that they are positive if you take some simple steps and are cautious about what you purchase with your hard earned money. It may be possible to improve credit score data on your credit file by simply removing your old, late payments. The credit bureaus record information about how you make your payments. If you miss a month, a “30 day” indication appears on your report, for example. If you miss two months, this notification changes to “60 day” and so on. The longer it is, the worse it is for your credit score. Since so many people have to take steps to improve their credit reports today to get jobs, to pay less on credit cards and even to get insurance, it is best that your credit score contains only the most up to date information possible. For those who want to raise their credit score fast, you do need to take a few steps as soon as possible. In short, you simply cannot and should not make payments late. This is one of the biggest triggers for the downgrading of your credit score. If you want to ensure that your credit score is as high as possible, pay your bills on time. However, a few things that you need to know are as follows. Late payment information is likely to remain on your credit report for two to seven years, depending on the credit bureau. The longer it remains there, the lower your score will be. Never remove the entire account from your credit report unless it is very bad. This is especially true if the account is old because it can help to establish the length of time you have been using credit, another important factor in determining your credit health. It may be possible to file a dispute with the credit bureau against the late payment. The credit bureaus will require, then, that the lender proves that the payment was in fact late. If it cannot do this, the late information is removed from your credit file. To fix your credit report, take steps to get rid of late payments that may appear there. Also, keep in mind that you should work on a system that allows you to pay all of your bills on time. Late payments will continue to appear as often as you make payments late. Keep in mind that to boost your score, you need to establish a long history of on time payments with the lenders that you have. As you look for ways to improve your credit score, it is critical for you to consider credit inquiries. There are two types of inquiries that could appear on your credit report these are soft and hard inquiries. Soft inquiries are nothing to worry about since they do not affect your credit score in any way and other lenders do not see them. These occur when a company is looking for potential consumers to offer accounts to. These accounts do not require your permission to view the credit debts and therefore you are not held against them. Other accounts though, can be a problem. To improve your credit score quickly, it is critical for you to consider hard inquiries. These are the type where you request credit and the lender then pulls a copy of your credit report and credit score to verify the information provided on it is accurate. You need to know a few things about these. To learn how to improve credit score information, it is very important for you to consider why they are there. Avoid applying for credit very often, or at all. If you do apply for a new line of credit, make it just one account every six months or so. In most cases, these inquiries will remain on your credit report for up to two years. At that time, they should come off on their own. If they do not, file a dispute with the credit bureau and request the information to come off. If you do not believe the inquiry should be there and did not initiate it, then it is best to dispute this information through the credit bureau. If the lender cannot prove you requested the information, it will come off your credit report. To improve credit score information quickly, ensure that your credit report is accurate and up to date. Do this at least two times per year, or more often. It is a good idea to invest in any type of resource that can help you to remove the data on your report that is inaccurate or that should not be there. That way, you can see a boost in your credit score and see that more lenders are willing to provide you with loans that are affordable. You do have options to consider here. Too many inquiries could hurt your credit score long term. Being turned down for a loan can often take people by surprise. Sometimes people have a tendency to assume that they have a good credit score when, in fact, their credit scores are not at all what they think they should be. If you have ever been surprised by the fact that your credit score isn’t as high as you think it should be, you may have wondered exactly why that is the case. In order to properly understand credit scores, you will need to know what can have a negative effect on them and cause them to drop. By avoiding these things, you should be able to raise your credit score. The very first thing that you should be aware of if you are trying to raise your credit score is your payment schedule. You would be amazed at how many people have terrible credit scores because they have failed to make their payments at the appropriate time. People have a tendency to be forgetful and we often times procrastinate. However, your credit card bills are something that you never want to procrastinate on. If you do not pay your bills on time, it can pile up and cause your credit score to plummet. Paying on time is an easy way to raise your credit score. Another strong mark on your credit report that can give you problems when trying to raise your credit score is foreclosure. When your house is foreclosed upon, it is done so because you have failed to pay your debts. When lenders see this on your credit report, they are far less likely to trust you enough to give you the money that you need to purchase a new home or a car. The best way to avoid these marks is to remember not to let your debt get out of control. Only purchase what you can afford and pay it off in a timely manner. There is a way that you can remove a foreclosure from your credit report. Removing a foreclosure from your credit report is very similar to removing other negative marks such as judgments and bankruptcies. If you are one of the many people who has had their home foreclosed upon, you can file a dispute with a credit agency asking to get the foreclosure removed from your report. A professional will be able to help you through the process. Once the foreclosure is removed, you will be able to raise your credit score. It is absolutely vital for everyone to know what is on their credit report. You can easily get a free credit report online from all three of the credit ranking agencies. Every single consumer is allowed to get a free report from each of the agencies every year. This way, you can make sure that everything that is on your credit report is accurate. Once you have your report you can check it closely and if you have any collections accounts, you can have them removed in as little as 34 days. Accuracy is key, because if there is something false on your report it can affect you for years. You may be turned down for some jobs because of a poor score, you may have to pay incredibly high-interest rates on certain things, and you may even be turned down for loans because of a bad credit rating. Once you get your reports, check them over carefully to make absolutely certain that everything is correct. If you find something that is wrong, it is necessary to dispute these false entries on your credit report. False entries can be disputed by drafting a letter to the creditor detailing the error. To begin, draft a letter to the creditor detailing the error. Explain exactly what the problem is and that they need to fix it as soon as possible. Send the letter certified and request a return receipt so that you know they have received your correspondence. Once the creditor has received your credit dispute, they have one month to respond with proof of your debt. If they fail to do so, then the items must be removed according to the Fair Credit Reporting Act. If they do not respond and do not remove the debt, you have the right to hire a lawyer and seek legal action against the creditor. If the entries on your credit report include a collection account that is a true entry, you can clear this up quickly and easily. To remove a collection account quickly, pay off the debt in question by contacting the collections agency. If you cannot pay the balance in full, set-up a payment plan to begin paying the debt off. This will make big improvements on your credit report quickly. You can also explain to them your circumstances and request that they remove the account from your credit report. This will show up within 34 days. Knowing your rights and fighting to keep your credit report clean is important for your financial future and can mean the difference between sky high-interest rates and low-interest rates. Pay off your collection accounts in full or set-up payment plans to get the account off of your report. If you want to remove a bankruptcy from a credit report, chances are good you will need credit repair help. It is quite common for individuals to find themselves struggling to get loans or to get additional credit card accounts after filing for bankruptcy. Within a few years, it can get easier but this often takes time and most people do not want to wait too long. More so, because a bankruptcy can remain on your credit report for as long as ten years, it will hold back your credit score during that entire period. How can you get your credit report to look better even when there are bankruptcy notations on it? First, be sure that the date on your credit report is accurate. Anything that is not accurate can be removed from the report. You can do this by filing a dispute with the credit bureaus. The credit bureaus will then have to turn to the lender or to public records to verify the accuracy of the information, which can be hard to do. If it cannot be verified, the credit bureau will then remove the information. It some cases, credit restoration services can help you to repair your credit report. Some may be able to help you to take off any bankruptcy information on file. This is not always the case, though. Each situation is different. In all situations, it is a good idea for you to ensure that all information on your credit report is accurate and if it is not, you should take steps to make it accurate. Sometimes, calling on a third party credit repair provider can help. To increase credit score information for you, ensure your credit file has the most accurate and up to date information possible. If there is data that is not accurate, removing it could help to boost your credit score. It is a good idea to check your report at least once a year, if not more often. That way, you will be able to learn if there are any limitations on you before you apply for a loan. While a bankruptcy can be a big problem, it may be possible to remove it. Even if it is not, you can improve the rest of your report and give the process time. Within a few years, you should be able to receive additional credit lines. If you have filed a foreclosure, you may not want to look at your credit score. You can improve your credit score quickly, but with foreclosure on it, you may find this harder to do than ever. What can you do about this? Many people who lose a home through foreclosure often find themselves facing financial strife. They are also often finding themselves wanting to buy a new home. The problem is that most lenders will not allow you to do this. You are too much of a risk to the lender. Your goal needs to be to rebuild your credit so that you can avoid this. For those who want to rebuild a credit score after facing foreclosure, the first step in the process is to focus on improving your credit score. Here are some tips to help you through this process. Make your monthly payments on time. This establishes your ability to make timely payments. Avoid opening too many new credit card accounts or other loans. This makes you look desperate and adds inquiries to your report. That drives down your credit score. Do spend time investing in using credit, if you have access to it, or using secured credit cards to rebuild your credit rating. Do consider turning to a credit repair solution. This can help you to get rid of any of the negative aspects of your credit report that may be limiting you. In some cases, negative information can be removed and that will improve credit score numbers quickly. It is a good idea to plan to buy a new home after a few years, once your credit score has improved and your credit report looks good. Be sure to have a down payment for the new purchase and to prove your income. You can quickly improve credit score information, but often times, it is also necessary to consider all of the long-term goals you have. In many situations, the only way to rebuild your credit is by making good credit decisions from this point out. Doing so and being consistent about it will help you to raise your credit score and to find yourself ready to buy a new home. Using credit and doing so carefully can help to speed this up, as can using a credit repair product that removes negative information from your report effectively. Many things can lower your credit score, and sometimes those things are errors. Your credit score may be lower than it should because of inaccurate reporting by a creditor, or some other error that creeps its way into your report. When you see this on your credit report, your first instinct might be to panic. Do not worry though! You can fix these errors and remove many of the other negative items on your report too. Best of all, you do not need to have the help from one of those expensive credit repair companies. You will be able to do it all on your own. You need to take your copy of your credit report and highlight the item or items that you believe are errors. Write a letter to the agency through which you received your report and explain the disputes for the errors. You have the right to request an investigation into the matter, and they have 30 days to complete the investigation. Make sure that you send as much information as you have to the bureau. 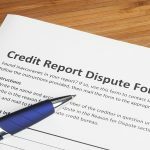 Any corroborating evidence that you have from the creditor that shows they are in error is going to be beneficial when it comes to a credit dispute. You can also send this information directly to the creditor. The creditor may or may not respond to the dispute. If they do not, then the bureau is likely going to remove the error from your report without further investigation. However, in some cases, the creditor is going to say that the information they sent to the bureau is accurate. If they do, the bureau is going to give you the contact information of the person who sent in the report. If you still believe that they are in the wrong, you should start a second investigation. You will often be able to remove negative items from your report in addition to the errors. For example, if you had a past due account, but you are now making regular payments, the creditor may agree to delete the instances of past due amounts. You can write to your creditor and see if they are agreeable to this. These are just a few ways to improve your credit score. By taking care of your credit problems on your own and not relying on a credit repair service, you are going to be able to save quite a bit of money. It is a much better and more affordable option for most people. Many people have poor credit today, and they are looking for honest and workable ways to improve their credit scores. While some people are taking care of the negative marks and the errors on their credit report on their own, it is possible to do some other things that will improve credit. In addition making all of your payments on time, you will be able to start considering some positive entries that should be included in your report. Unfortunately, positive account histories do not always make it into the report. Some creditors do not report info to the credit bureaus, and other only report the negative. However, you can change that. The first thing you have to do is consider what types of positive information could be included on your report. If you’ve received a loan from a local bank, and you’ve made your payments on time, make sure that they report that to the credit bureaus. Consider the utility companies that you pay each month, gas card companies, and even your landlord. All of these things can add positive marks to your report and help you to improve credit. How are you going to get this information into your report? You can start by writing letters to credit bureaus to ensure that your positive history makes its way into the report. Make sure that you include all of the information the bureau, such as Equifax and Experian, is going to need. This includes your name, address, date of birth, social security number, recent billing statement, canceled checks showing on time payments, and the report number from the credit report. You can mail this information directly to the agencies, and make sure that you have proof of delivery. In most cases, the credit bureaus will add the histories on time payments to your report. Some might charge a small fee to do so, but it is well worth it. The cost is minimal when you are trying to improve your credit score. This is just another way that you will be able to start improving your score. It is well worth the time and effort, even if it only raises your score by a few points. Everything that you can do to improve credit and get your numbers to a respectable level is important. When combined with removing errors and other issues from your report, it can be a huge benefit. When you are trying to buy a home or a new car, and you see that you have negative items and errors on your credit report that are causing problems, do not panic. The first instinct of many people is to grow fearful that they are not going to be able to fix the credit score. Fortunately, you do have some options, and you will be able to remove those errors and many of those negative items from the report. Instead of choosing to hire a company to do this for you, it is better to do it on your own. This solution is also going to be more cost effective, and saving money is always a good idea. You do not have to have any deep knowledge of how the system works either. Finding the right fix is much easier than most people think it is going to be. With some good credit repair software and some patience, you will be able to start removing those errors from your report. You need to point out the errors to the credit bureaus that tabulate your credit score. The national companies that do this are TransUnion, Experian, and Equifax. Once you obtain your report from one of those companies, make note of all of the errors on the report. Make a copy and underline the errors. Send letters to the credit agency detailing the errors and ask that they remove them from your report. Be sure to send all of the pertinent information you have regarding these accounts. The agency will then try to get more information from the creditor. If the creditor does not respond within 30 days, the agency will remove those errors from your report. You will be able to do the same thing with any negative listings on your report that you feel are incorrect. This is a fast and simple way to raise your credit score and make sure that those negative listings and inaccuracies are gone. When you have these items off your report, you will find that your credit score can go up rather quickly. It may take a few months, but you will be able to see a noticeable difference once those errors disappear. This means that it will be easier for you to get loans with better rates too. This technique is a fast and simple way to fix credit problems that are plaguing your life! Everyday life is expensive and with the economy as bad as it is, it is no wonder that many people have found themselves in serious debt and unable to make monthly payments on credit cards and vehicles. This can cause even the most hard-working individual to slip further and further into debt and can tarnish their credit score. 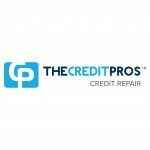 If you or someone you know is in a situation where you cannot get the things that you need to live because of your poor credit rating due to judgments on your credit report, it might be time to try a credit repair service to help get yourself back on your feet. A credit repair service can reach out to your creditors and attempt to remove the judgment from your report. They have contacts with many different creditors and will work as an advocate on your behalf. Often, a judgment on your credit report is due to a collections account and is from a collections agency or lawyer. The credit repair service can contact the agency or lawyer and discuss with them the possible removal of the judgment. Another way that a service can assist you in getting rid of the judgment is by studying the various laws to determine if any of them have been violated by the collection on your record. If the item that is still on your credit report has expired due to the statute of limitations, then the service can help you to contact the agency and have the item removed. It is illegal for the agency to even be attempting to collect this debt or claim it on your credit report because the item is so old. They can also help you to remove the judgment by negotiating with the agency to reach a settlement agreement. This type of agreement usually entails that you either pay the balance in full or that you reach an agreement as to a certain amount that you will pay back each month in exchange for the removal of the judgment. You can request through your credit service that the agency mark the item as paid in full status to help to improve your credit while you are paying off the judgment. When you are struggling to get credit for the items that you need in life because of judgments on your credit report, a credit repair agency can help you to contact the collections agency or lawyer and remove the judgments. You will have a free, clear credit report and the ability to do the things you want in life. There is nothing worse for someone who wants to purchase a home, buy a car, get a student loan or buy anything else that requires a loan than having a bad credit score following them around. A bad credit rating can make your life difficult and unfortunately, even more expensive. If you want to save your hard earned money by getting lower interest rates on loans and other items, you need to make sure that you are doing everything you can to keep your credit report clear. If you have already gotten yourself into a bad financial situation, such as having a repossession on your credit report, you need to increase your credit score as much as possible by removing the repossession. To any lender that you apply for a loan from, you are not a person but merely a set of numbers and the most important number in this set is your credit score. To improve yours, you need to take charge of your finances and get rid of the offending repossession that is weighing you down. Your first step to getting rid of the repossession and to effectively increase your credit score is to make sure that the company who repossessed the item did so correctly and legally. Whether it is a car, RV, boat or some other large item, you can challenge the fact that the company took back possession of the item for a few reasons. If the company did not have a license to take the item away, you can challenge the actions they took. If they did not notify you before the collection of the item, then they may be in legal trouble. The company is also required to report everything correctly on your credit report, including amount owed and dates. If they did so incorrectly, you can contact them to change this. Before taking any legal action about the unlawful repossession, always contact the company in writing many times and by phone. Document and record all correspondence and phone calls so that you can use them in a lawsuit later on. If you really want to increase your credit and the company is not cooperating to remove your repossession, contact a lawyer immediately. If you have a poor credit score due to an unlawful repossession, it is time to take charge of your credit and follow some simple tips to increase your credit score as much as possible by getting rid of the repossession on your credit report. 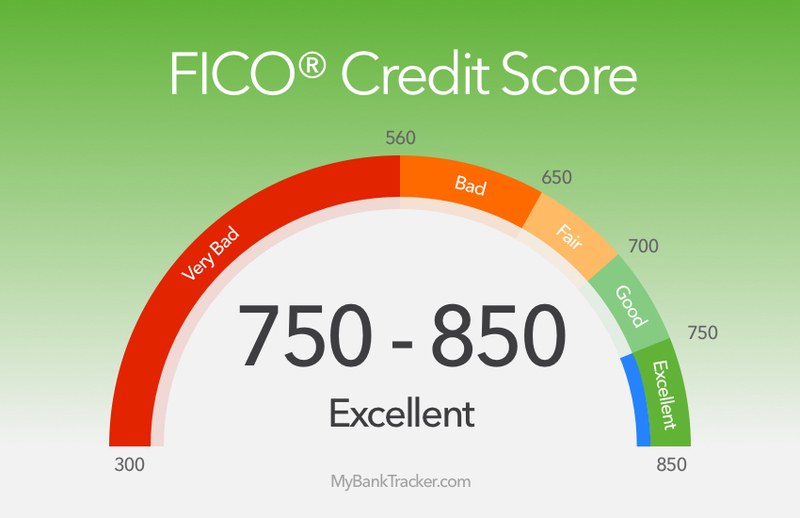 You need a good credit score and you can improve your numbers if you know the laws and get a good lawyer on your side to help you remove the negative items. How much money are you paying in interest on your home, car and credit cards? Even if you believe that you have a good rate, chances are that the rate would be much better if you had a better credit score. In fact, when you improve your score, you can save thousands of dollars each year. Before you buy a home or a car, you will want to get a copy of your credit report from Experian, TransUnion or Equifax. Look at the report to see what your current score is, and look at the report to see any negative items that you might be able to remove. Many people do not realize that they have the power to question errors and negative information on their reports. It is actually easy to do, and you do not need to hire the expensive services of credit repair companies. With some persistence, some stamps and some software to tell you how to do it, you will be able to improve your score on your own. If you already have a home or a car and have high-interest rates, it isn’t too late. You can start taking those steps to fix your credit now. Get your credit score up to a respectable level and then talk with the bank or mortgage company about refinancing. With a higher credit score, you should easily be able to qualify for much better rates. An improvement of 50 to 100 points in your credit score can really save you thousands of dollars each year. Once you have your credit report in front of you, start looking for errors and other negative items. Make a note of the different items, and then send a letter of inquiry requesting deletion of the items to the credit bureau. The Bureau will then contact the creditor in question. If the creditor doesn’t respond within 30 days, you will have those negative marks and errors removed from your report. It is an easy way to fix credit fast, and it works in a surprising number of cases. It’s important not to inundate the bureau with a large number of removal requests at once. Take your time and eliminate the biggest problems first. This will bump your score up faster. Then you will be able to tackle the other negative pieces of the report. This workable method will improve your credit score and save tons of money! We all make money mistakes, but that does not mean we have to pay for them forever. Many people have gotten themselves into serious debt because they did not stop to think about whether they could actually afford the items they chose on their shopping sprees. They never sat down and figured out what they really could afford. If you have found yourself in over your head with debt, you may also be facing a bad credit score. You can fix your bad credit from the past quickly and easily by disputing all old debts that are past the statute of limitations for debt collection. The actual length of time for the statute of limitations on debt collections varies from state to state, so consult your individual state law to find out exactly how long it is. Then, get your free credit report so that you can begin your credit repair and fix your bad credit. If there are collections on your credit report that are past the statute of limitations for debt collection in your state, you have the legal right to have these items removed from your credit report. To fix your bad credit by removing old items from your credit report, you need to draft a quality, well written letter to your collections agency explaining to them the laws in your state and stating that they are past the statute of limitations for the particular debt in question. They should remove this item as soon as they receive your correspondence. If they fail to do so, you have the legal right to sue them to have this negative item removed. If any collections agency continues to try to collect on this over the limit debt, this is absolutely illegal and they can get in serious trouble for this action. Document any contact that you have with them and make sure to show all correspondence to a qualified lawyer if necessary. This law is in place to protect your rights and you should, by all means, use it to your advantage and for your credit repair. To fix your bad credit you should take every possible legal action that you can in order to improve your credit. You need good credit and under the law you do not have to pay for financial mistakes that you made many years ago. Know your state’s statute of limitations on debt collection and hold collections agencies accountable. How can you fix credit? If you have a poor credit score, chances are good you are dealing with high-interest rates, limitations on obtaining new credit and even creditors contacting you on a regular basis. When this is the case, you may need help to rebuild your credit. How can you do this? There are actually numerous ways, starting with paying off your debt in full. However, most people do not have the money to do that. What can you do then? You may want to turn to credit cards as an option for rebuilding your credit. One of the most important things to remember is that by using credit, you are improving your credit if you are using it wisely. If you want fast credit repair, you may want to consider a balance transfer to a new line of credit. If you qualify for a new credit card with a large credit limit, you can use the funds from the new credit card to pay off the existing debt you have. That way, you have just one monthly payment to make. And, all of your old debt is cleared up – though you will need to keep paying it back over time. You may be asking how this can “fix my credit?” By consolidating your debts into one new loan, you can get your debts caught up. This makes it easier for you to repay your debt over a period of time. You will need to do other things as well to boost your credit score over time using credit cards. Make your payments on time each month. On time payments are one of the most important things for fixing credit. Do not obtain new loans. Use the credit cards you have only. Do use credit, but be sure to keep the balance on any credit card as far under your limit as possible. This is the only way to ensure that you can actually improve your credit over time. For many people, credit cards can be a good way to improve credit. While you can also use credit repair and other methods to fix your credit report realize that you still have to deal with the debt you owe. These methods can help you to do just that. You deserve to pay less on your credit cards.